Caddis, PMD’s, Little Blue Quills, March Browns, Little Olive Stones, Midges, BWO, Large Carpenter Ants on warmer days. Green and Brown Drakes. River is up to 54 degrees, and flows are down around 10k. Dry Fly action should really turn on this week. Grannom and Tan Caddis are out in full force. PMD’s have been coming off in the mornings on overcast days. BWO and Little Blue Quills, Little Olive Stones, Black Ants. Glacial silt is settling out, and fish are looking up… Summer is upon us! 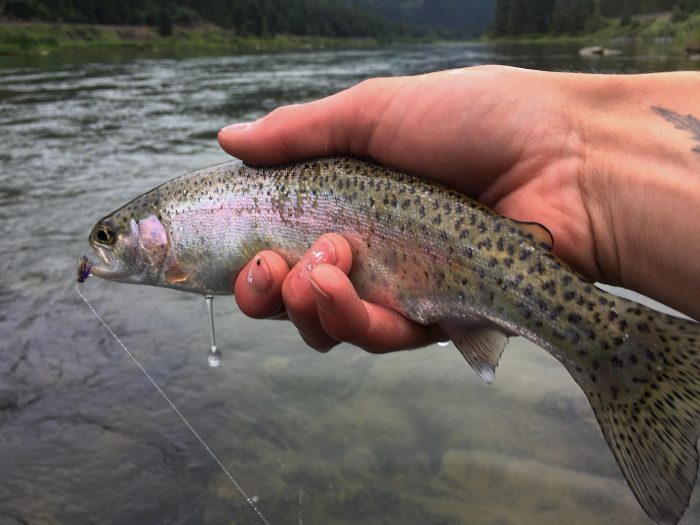 Yaak and other tributaries area at prime flows for wade fishing. We also had a few hopper sightings in the hay fields this week… The season of Hoppertunities is approaching! Happy 4th to all!